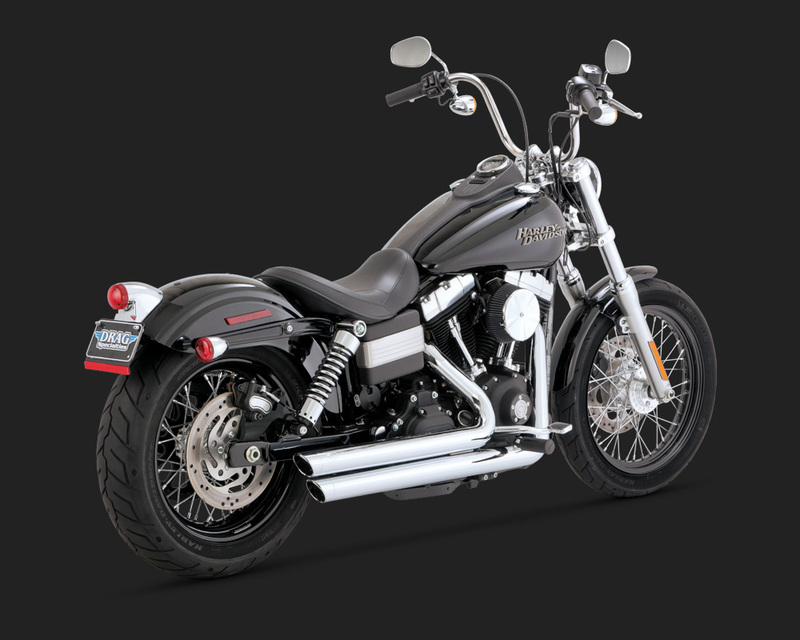 Big Shots Staggered provide the best of both worlds, long and low 2-into-2 style pipeswith 2-into-1 performance thanks to the Vance & Hines Power Chamber hiddencrossover. 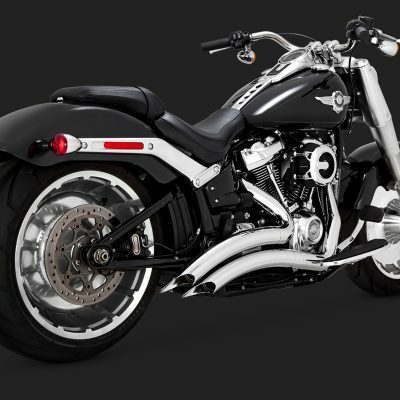 Complete with one-piece full length heat shields and slash-cut CNC machinedend-caps, Big Shots Staggered come standard with louvered-core baffles, and can also befitted with optional quiet baffles. 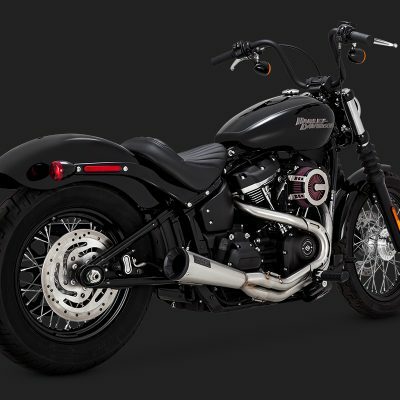 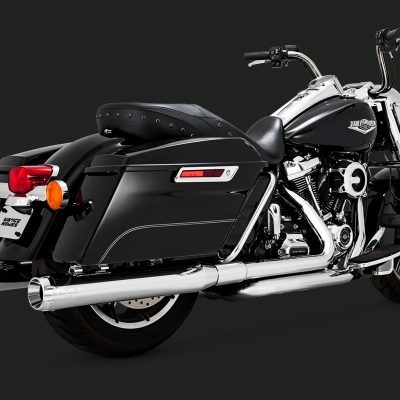 For 2012, Vance & Hines has designed a new flat plane mounting panel for the 12mmoxygen sensors now employed across the Softail model line, which positions the sensordeeper into the exhaust stream, providing enhanced data feedback to the ECM.